← Limburger Cheesecake… only for the strong of heart or if you have a cold! As part of the slow food movement it gives me great pleasure to share with you this wonderful cheese and its history. It’s about this lovely cow that was almost lost to us and how it has been reinvigorated. Up until the post WWII era, the Reggiana was the main breed of cow in the province of Reggio Emilia. This beautiful cow had the most striking red coat. But sadly it did not produce as much milk as its black and white cousins. By the last 1980’s there were only a few of these cows left. 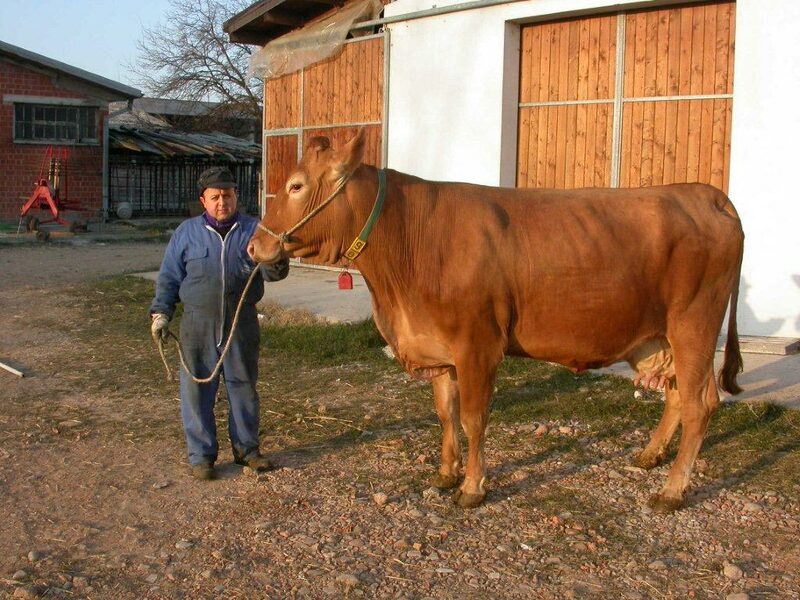 However, during the last few years Fanticini family has brought this breed of cow back from the brink of disaster. In their family dairy in Villa Sabbione they use the milk of the Reggiana to make Parmigiano Reggiano of yesteryear. It has a higher butterfat content and contains more proteins. This combination allow for a longer period of aging. Its unique nutty, fruity, grassy flavor is richer than most Reggianos and its texture is creamier. 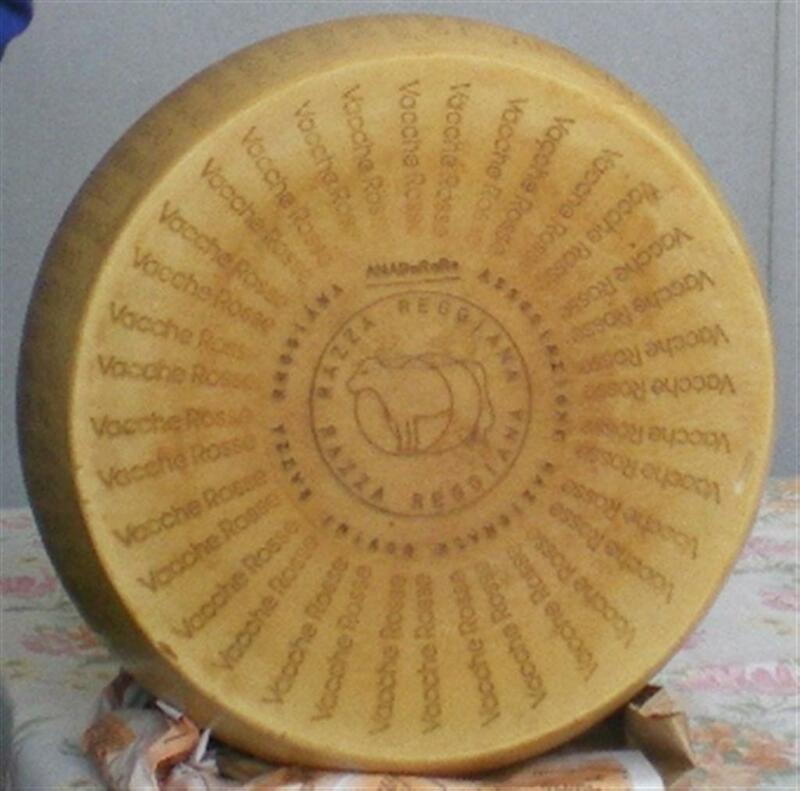 The Vacche Rosse (Red Cow) is made from 100% grass fed, unpasteurized cow’s milk. Most Parmigiano Reggiano’s are made from 80% grass fed cow’s milk. The farm only makes 2000 wheels per year so most Italian reserve this cheese for special dishes or eat it chunked and drizzled with thick expensive Balsamico. This cheese carries several marks very proudly on its shell. This cheese is certified that no GMO was used in the feed, no methods to force the production were used and the animals were given a high level of attention. This is cheese at its best! I’m quite sure that cheese is amazing, but more delightful still is the huge brown bovine on the side of him! That’s one pretty cow! And the cheese sounds wonderful!